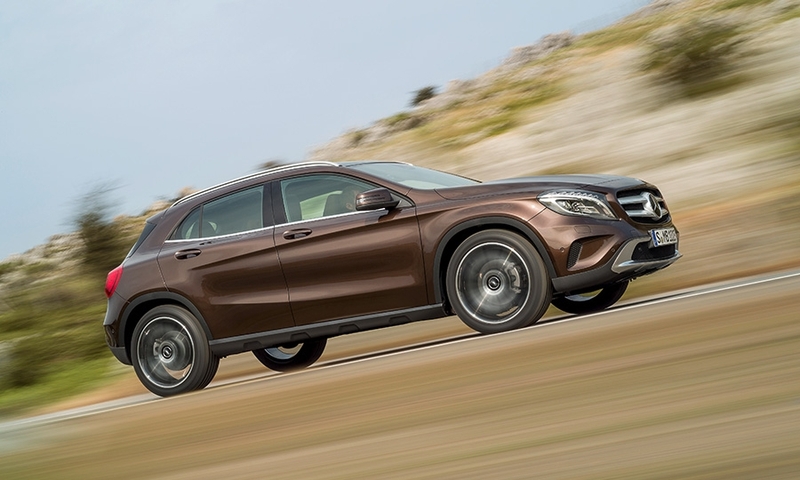 The GLA compact crossover, designed to lure younger buyers to Mercedes-Benz, will go on sale in the United States with all-wheel drive in fall 2014, followed by a front-wheel-drive variant in early 2015, the company said today. The GLA is based on a new fwd architecture that also underpins the CLA sedan, which goes on sale next month in the United States. The GLA will be introduced in September at the Frankfurt auto show, Mercedes said today. It goes on sale in Europe next spring. The CLA and GLA were created as a new entry point to Mercedes, Mercedes-Benz USA CEO Steve Cannon told Automotive News earlier. 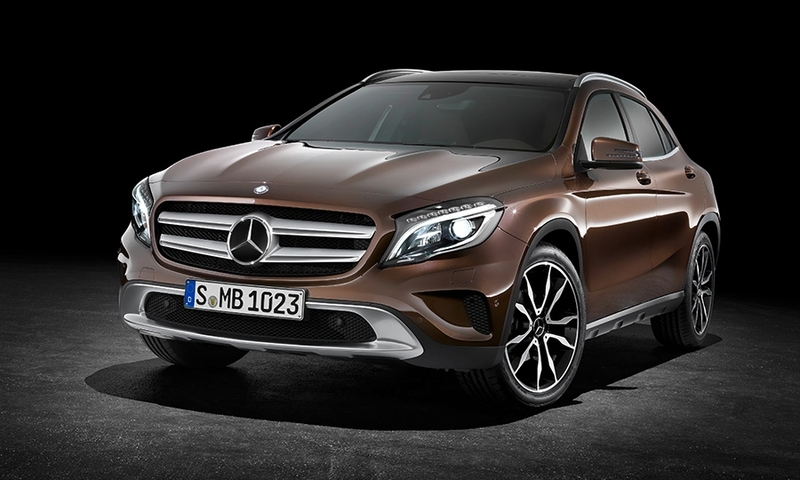 Mercedes has not disclosed pricing for the five-door crossover that will compete with the BMW X1 and the Audi Q3. Prices for the CLA start at $30,825, including shipping. The fwd GLA is expected to be priced about $1,000 more than the CLA, and the awd GLA is expected to be priced about $2,000 more than the fwd GLA. 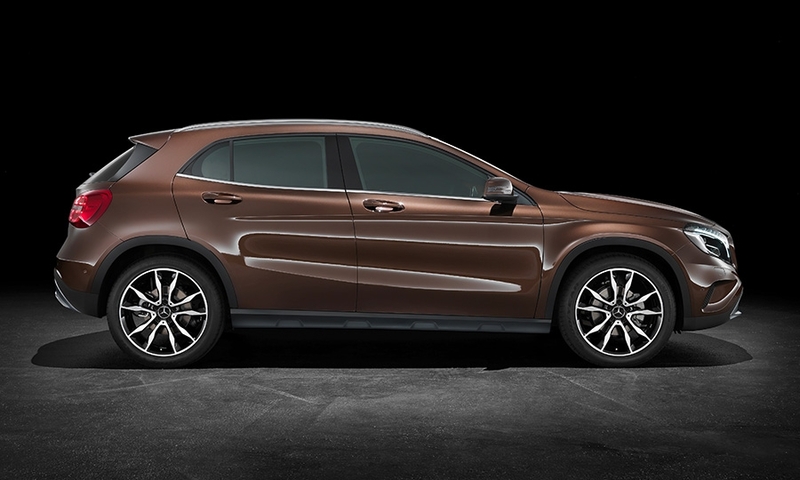 The pricing will separate the GLA from the GLK, which has a base price of $38,015 including shipping. 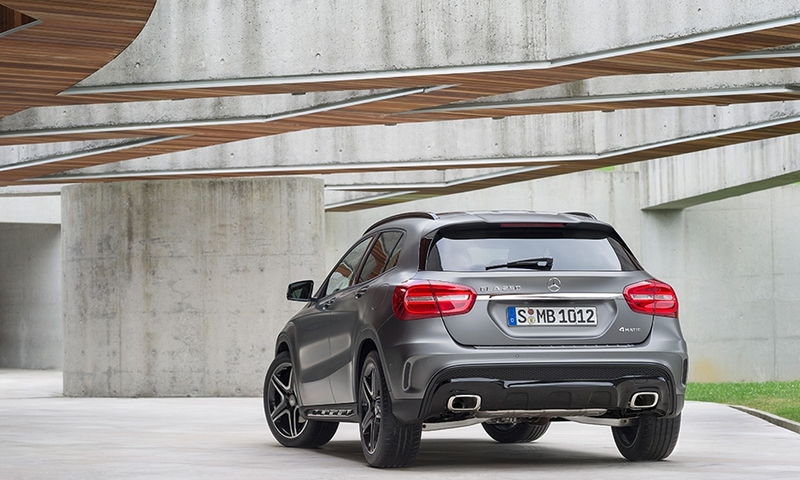 The GLA is smaller than the GLK. The new crossover's length of 173.9 inches is 4.4 inches shorter than the GLK's, its 71-inch width is nearly eight inches narrower and its 58.8-inch height is eight inches shorter. 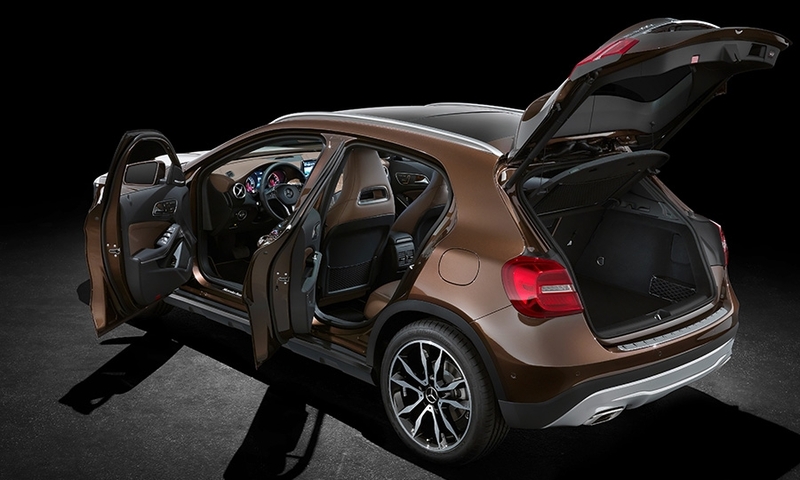 The GLA has a sleek, aerodynamic and modern look in contrast to the GLK's squarish and rugged body. 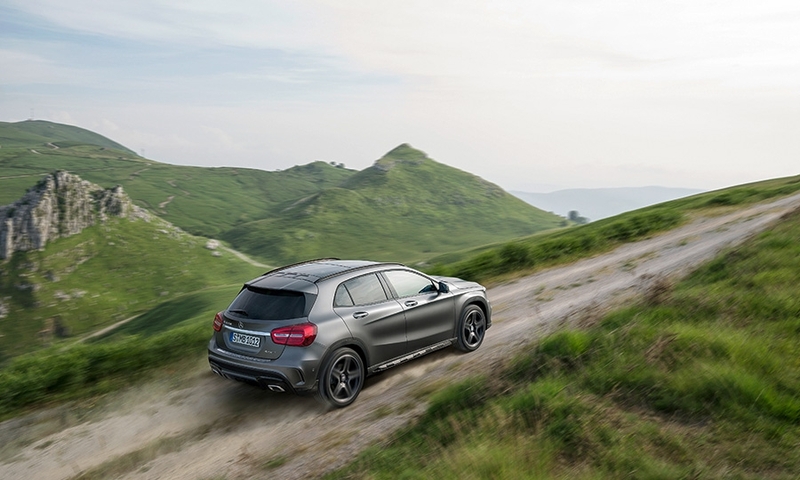 "With its striking features, the GLA embodies our progressive thinking and enthralls with its off-road proportions," Gorden Wagener, Mercedes' design chief, said in a statement. "The clearly defined surfaces convey power and serenity, and we have managed to combine as much emotional appeal as possible with as much clarity as necessary." 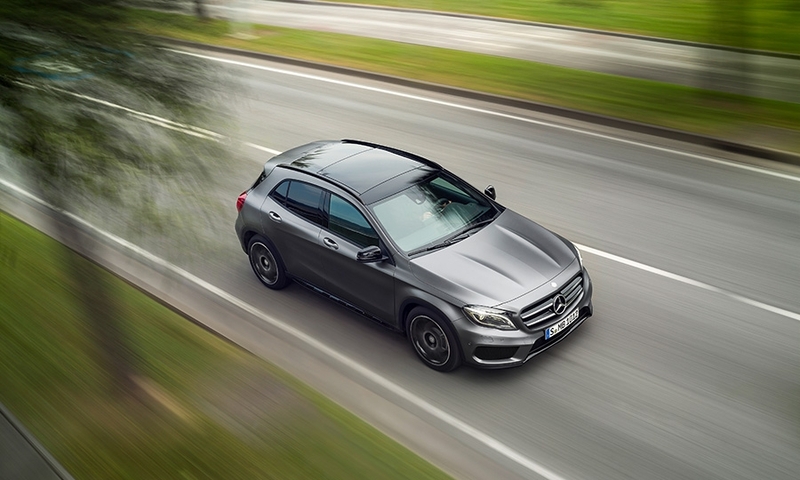 Mercedes is equipping the GLA with standard premium features as it did with the CLA. The GLA has a seven-speed dual-clutch automatic transmission, electromechanical power steering and collision prevention and attention assist systems. Chrome roof rails also will be standard. "With the compact GLA we add a fifth attractive SUV variant to the Mercedes-Benz model portfolio in this constantly growing segment. 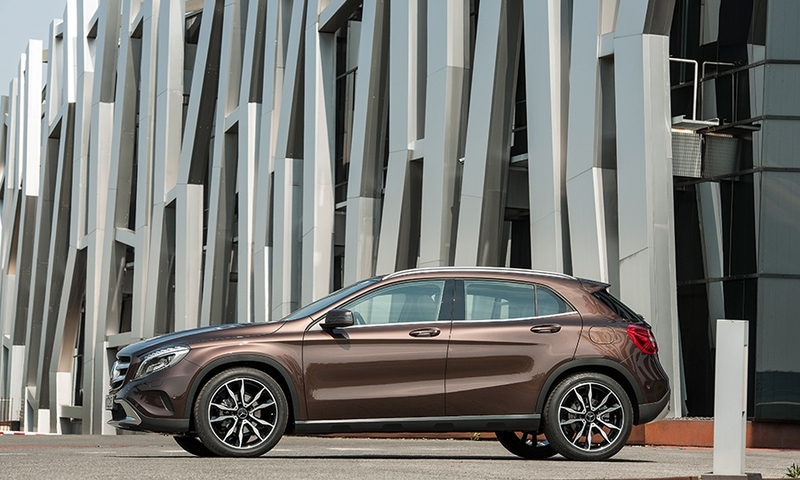 The GLA impresses mainly with its progressive character and agile handling," Joachim Schmidt, Mercedes' head of sales and marketing, said in a statement. Both GLA models will have stop-start technology and a 2.0-liter turbocharged four-cylinder gasoline engine that makes 208 hp. Fuel economy figures have not been released. Mercedes said the crossover will go from 0 to 60 mph in 6.4 seconds and has a top speed of 145 mph. Awd models will have a feature that helps maintain a slow speed going downhill. It is controlled by a button in the center console. Options will include a power liftgate and a host of safety features including distance control, lane keeping and parking assistance. A sport package also will be available.